Possible Final Question at Miss Earth Philippines 2018? The most important round of the competition is the Final Question and Answer Round which some of the favorites struggled in this round. 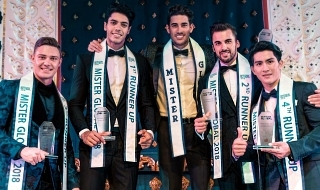 Now if you were the organizer what will be the final common question to the Top 5 finalists? Re: Possible Final Question at Miss Earth Philippines 2018? RUFFA G WILL ANSWER THAT QUESTION FOR YOU. GANUN DIN ANG ISASAGOT NIYA PERO MAS MAGANDA FOR SURE. Do you think Philippines will win the 2018 Mess Earth? Why or why not? Carousel has just entered into a full partnership with CORAL as confirmed by no other than Miss Lorraine herself in a recent interview. "If only Bello touches my skin, then who touches yours?" "If you are a woman of the Earth, then doesn't that make you amoy lupa?" "If you can die beautiful, then why the hell are you still alive?" No amount of explanation will matter to those who already have their verdicts at the back of their minds. Just view again the videos and explain to us why they should have not won. Last edited by manoypoe on Thu May 17, 2018 4:15 pm, edited 1 time in total. Teh, simple lang ang sagot for Carousel DELICADEZA !! DELICADEZA VS FAIRNESS - WHICH WILL YOU CHOOSE? CAROUSEL IS NOT IN CONTROL UNLIKE OTHER PAGEANTS. THEY HAVE AN AUDITING FIRM WHICH TABULATES THE SCORES OF THE JUDGES. IT IS UNFAIR IF THEY WILL CHANGE THE VERDICT OF THE JUDGES. WHAT WOULD THE JUDGES SAY IF CAROUSEL DID NOT ALLOW ANGELIA ONG TO WIN JUST BECAUSE OF DELICADEZA? THE JUDGES CHOSE ANGELIA AND IT'S PROVEN TO BE A RIGHT DECISION. 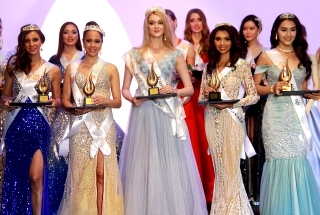 ANGELIA RAISED THE BAR HIGH FOR MISS EARTH QUEENS ON THEIR RESPECTIVE REIGNS. THE ONLY THING, I THINK CAROUSEL MUST DO IS TO CHANGE THE CRITERIA. NO MORE HASHTAG AND ON TOP 16, BEAUTY OF FACE AND BODY PLUS ELEGANCE MUST WEIGH MORE SO THAT THE BEST AMONG THE REST WILL ADVANCE TO TOP 4. BUT IT IS THEIR PAGEANT. THEIR RULES, THEIR CALL. WE ARE JUST SPECTATORS. LAT US WAIT AND SEE IF THEY WILL LISTEN TO US. Maybe no to hashtag interpretation at Miss Earth but at MEP it should be continue provided that the girls should know the different issues not just environmental issues for the past 2 months of their journey. 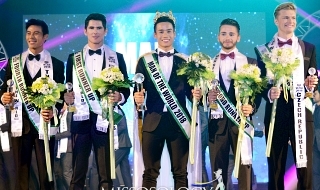 For me the judges' question should return at Miss Earth 2018 instead of hashtag interpretation because it seems that most of the girls and ND are not prepared for this innovation. Hi Miss Lubok-lubok.. here's your question..
RatedX wrote: "If only Bello touches my skin, then who touches yours?" Hahaha.. to save money i guess..